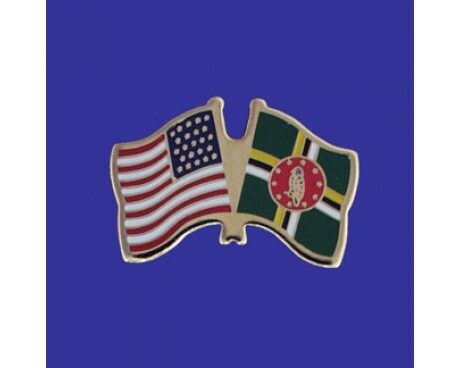 The flag of Dominica, which should not be confused with the flag of the Dominican Republic, is a reflection of the nation's people, history, and natural resources. It bears little resemblance to the colonial Dominica flag that represented the country while it was part of the British Windward Islands, unlike the flags of many nations which retained a strong link to their colonial emblems. Dominica flags feature a solid green field with a striped cross of yellow, black, and white. A central red disc is overlaid on the cross, and that disc displays ten stars and a parrot. The parrot is a species that is endemic to the island of Dominica, which serves as a remainder of the nation's unique natural splendors. The green field of the Dominica flag is a symbol of the nation's verdant plants. The flag's cross is a symbol of Christianity, and it is divided into three bands in order to represent the Trinity. The flag's disc is a symbol of justice, while the stars that are on it represent the nation's ten parishes. 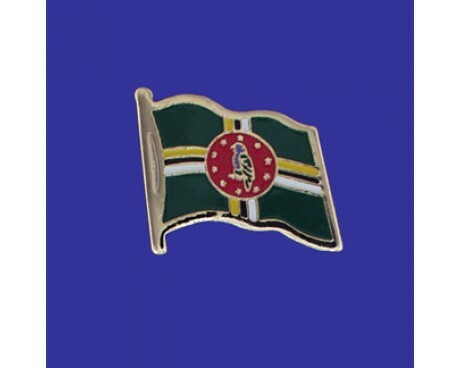 Dominica was a colony for a large part of its recent history, and the history of Dominica flags reflects that colonial heritage. It spent most of its history grouped with other islands to form larger colonies, which prevented it from developing a tradition of uniquely Dominican flags. The colonial flags were British blue ensigns with the Union Jack displayed in the canton and the colonial coat of arms in the fly, which followed the same pattern as the majority of other British colonies. 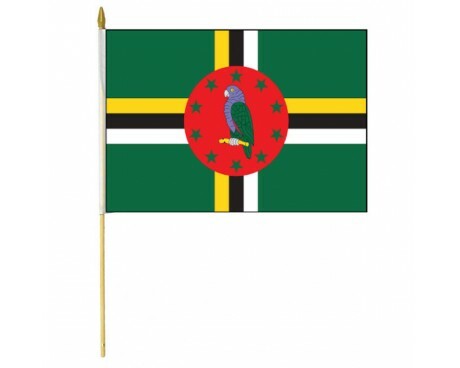 The modern flag of Dominica dates back to 1978, when it was designed by a playwright named Alwin Bully. It featured the same fundamental design features as the modern flag, but it differed in the details. The colored bands in the cross were displayed in a different order than on the modern flag and the parrot faced in the opposite direction. The colors of the cross were rearranged in 1981, while the parrot was rearranged in 1988. The flag's stars were changed to a darker shade of green in 1990, which created the design that is currently in use.